Nothing says Merry Christmas like a green gorilla! 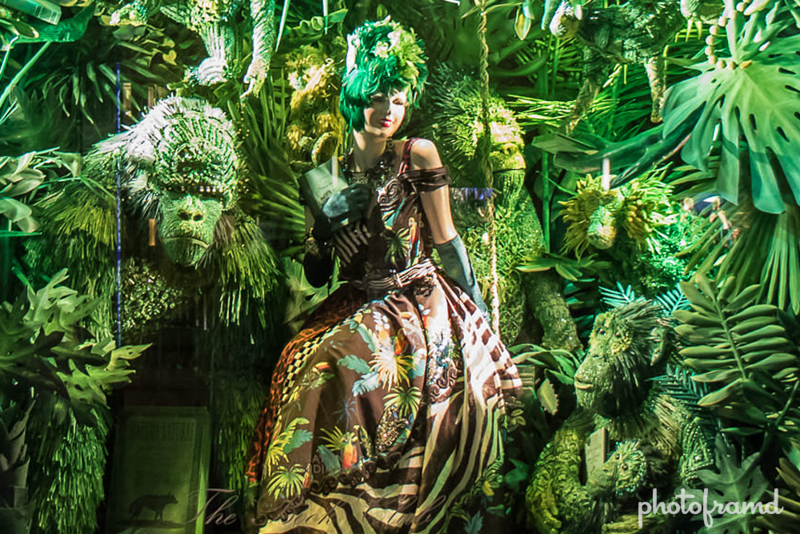 Bergdorf Goodman continues their Anti-Christmas windows with some bizarre displays under the guise of “Destination Extraordinary”. Green gorillas this Christmas, and a monkey fortune teller last Christmas. These windows could have been used any time of the year, but why during Christmas? What connection are they trying to make between Christians and this menagerie? Why not dancing pigs during Yom Kippur? Or maybe a panda juggling take-out during Chinese New Year? 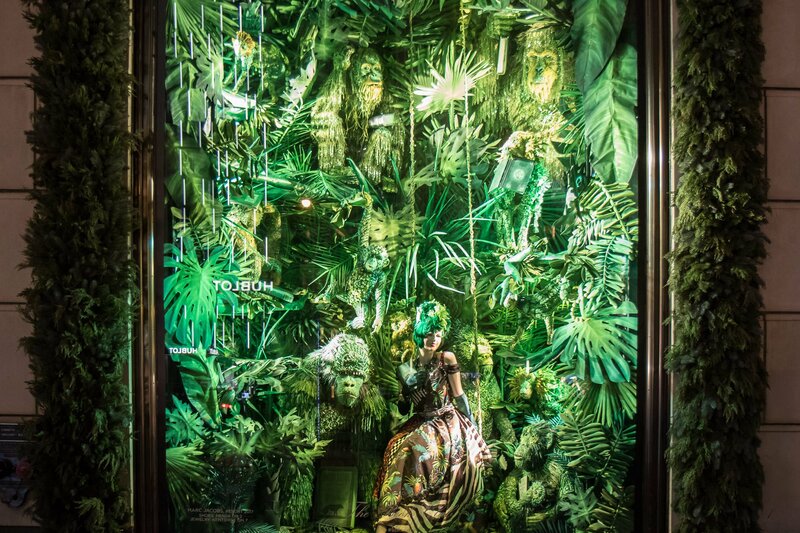 Honestly, what is Bergdorf Goodman thinking? Take a look at the photos here and save the trip. It’s not worth it. The dresses are pretty ugly too. Bergdoff Goodman is located on 5th Ave near Central Park. But, seriously … visit Lord & Taylor instead … they have the Christmas spirit.